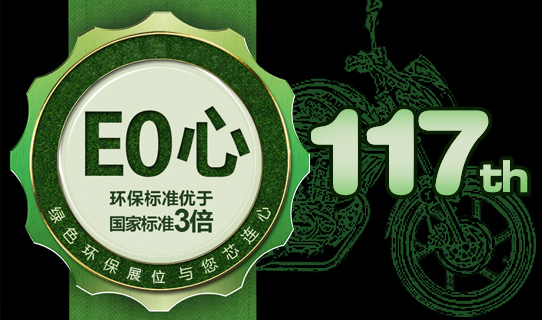 In Jan.2018: Won the “Ten best exporters of China motorcycle industry". In Jan.2017: Haojin EFI Designated by Iran’s Governmental Agencies. In April 2017: Won the “Recommended export brand of year 2017”. 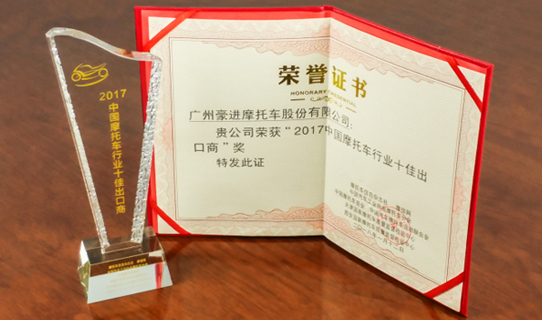 In Oct.2017: Won the “2017 Guangdong Renowned Export Enterprises". 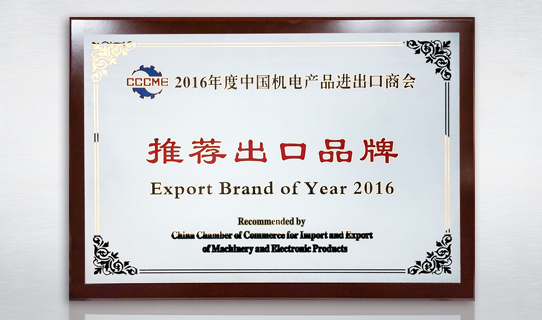 In Oct.2016: Won the “Recommended export brand of year 2016". In 2015: Entitled "Green Custom Built Stand" of Phase 1 for the 117th Canton Fair. 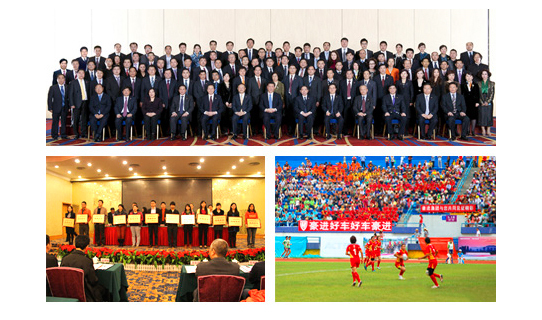 For the first half year of 2013, Haojin generated an export trade value of more than 120 million dollars, which played a leading role for the national industry. 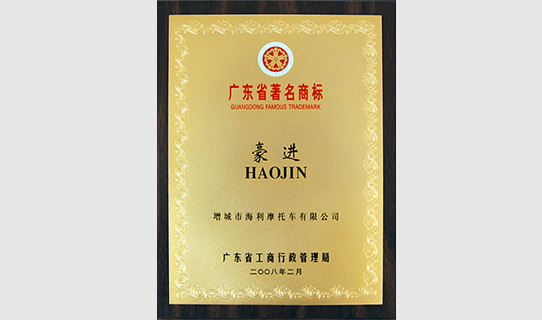 In 2013, Haojin Motorcycle was awarded “Guangdong Famous Brand". 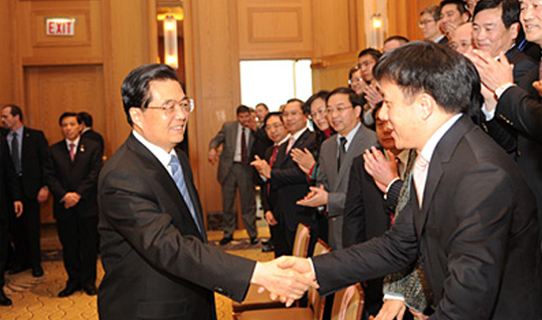 In February 2012, as an outstanding private entrepreneur and the only representative of national motorcycle industry, Haojin President Mr. Liu Guojie accompanied Vice President Xi Jinping to the US for business communication and cooperation. In 2012. Haojin was rewarded and entitled "the China Export Leading Index (ELI) Sample Enterprise" by the General Administration of Customs of the people's Republic of China. In 2011: Haojin motorcycle exports more than 300,000,000 U.S. dollars, ranking No.2 in China motorcycle industry. 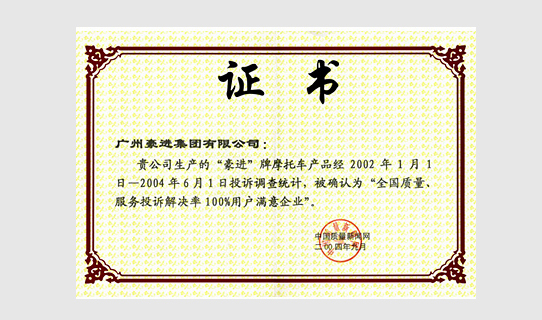 In April 2009: "China well-know trade mark" awarded by Industry and Commerce Administration Bureau of China. 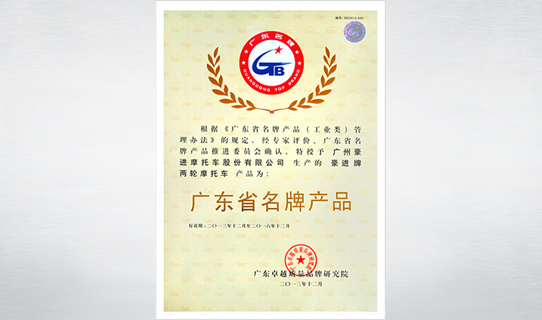 In Feb. 2008: “Guangdong famous trade mark" awarded by Industry and Commerce Administration Bureau of Guangdong Province. 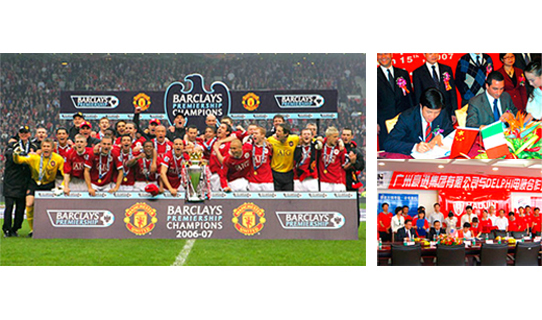 In Nov. 2007: “Guangzhou famous trademark" awarded again by Industry and Commerce Administration Bureau of Guangzhou. 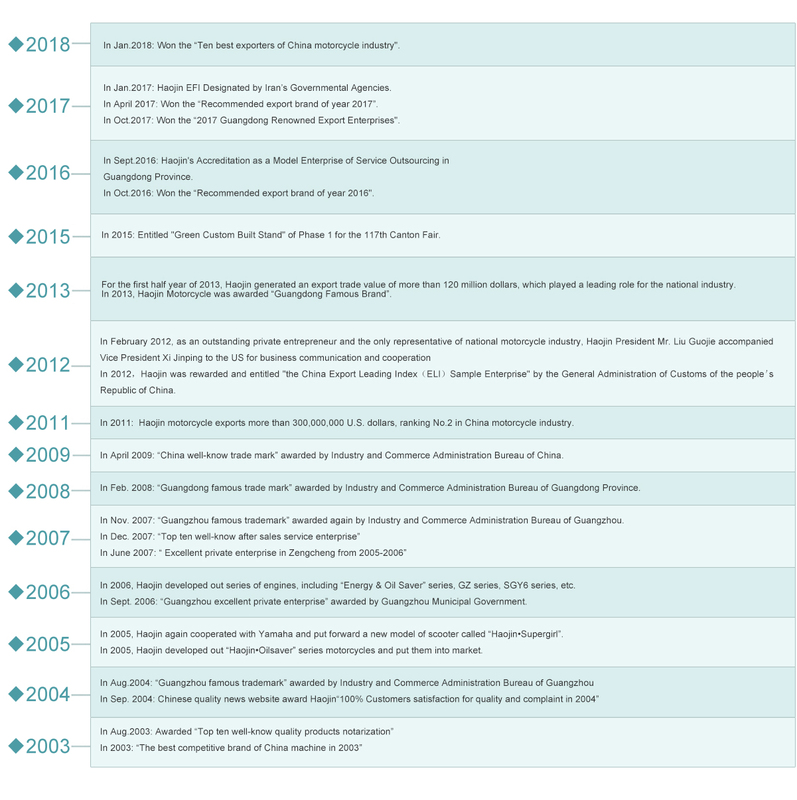 In Dec. 2007: “Top ten well-know after sales service enterprise"
In June 2007: ‘ Excellent private enterprise in Zengcheng from 2005-2006"
In 2006, Haojin developed out series of engines, including "Energy & Oil Saver" series, GZ series. SGY6 series, etc. 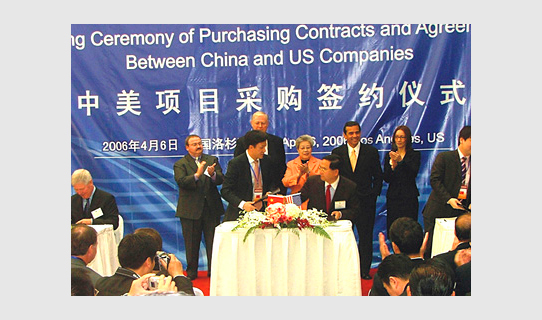 In Sept. 2006: “Guangzhou excellent private enterprise" awarded by Guangzhou Municipal Government. In 2005, Haojin again cooperated with Yamaha and put forward a new model of scooter called “Haojin*Supergiri". 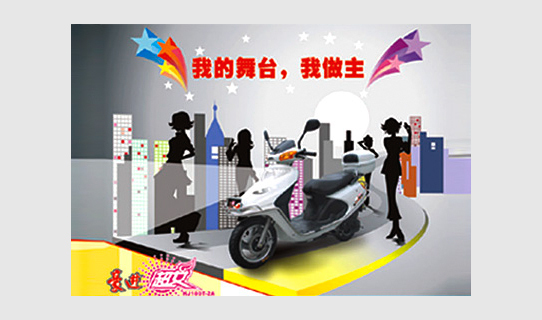 In 2005, Haojin developed out “Haojin*Oilsaver" series motorcycles and put them into market. 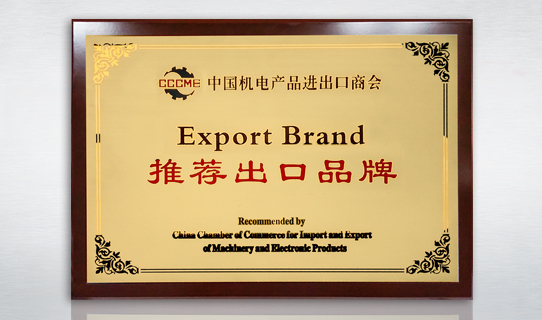 In Aug.2003: Awarded “Top ten well-know quality products notarization"
In 2003: “The best competitive brand of China machine in 2003"
The export company was founded in 1993. In April 2001, authorized by the Chinese government as a motorcycle manufacturer, Guangzhou Haojin(Zengcheng Haili) Motorcycle Co.,Ltd. 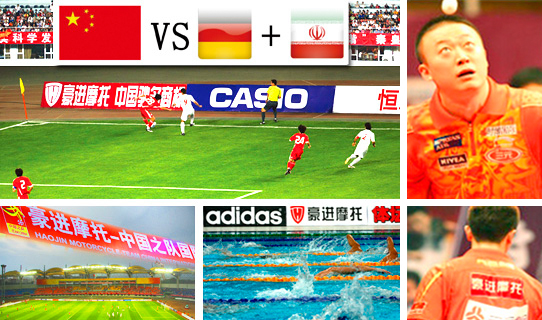 was established and owned both "HAOJIN" and "LINGKEN" brands. Against the backdrop of an economic new normal of slower growth, Haojin will meet future challenges by increasing investment in R&D and taking advantage of new technologies such as the Internet and new business models. Haojin will make the greatest efforts to become a world famous innovative company that leads future motorcycle life.